If you’re looking for the perfect way to celebrate Valentine’s day this year then don’t miss out on some super tasty cocktails at Limbo roof terrace bar this week! 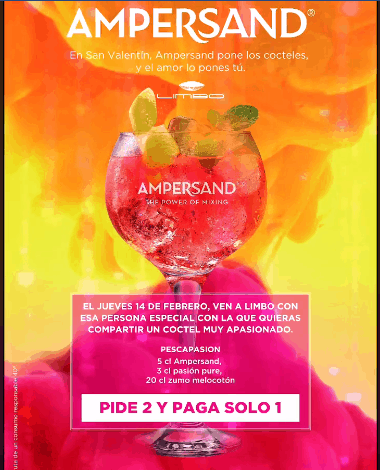 Limbo has teamed up with Ampersand to bring you a delicious passion and peach cocktail, what’s more, it’s two for one! 263 queries in 2.554 seconds.